Well, so does your canine companion. And that’s where we come in. 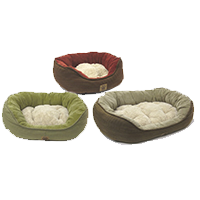 Whether you’ve got a 5lb Chihuahua or a 200lb Saint Bernard, we’ve got a bed for him. 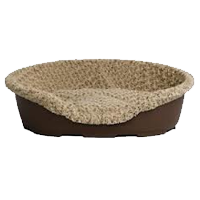 We stock hundreds of pet beds in all shapes, sizes and colours. 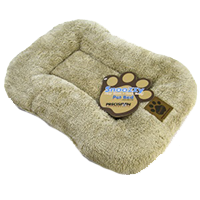 From kennel mats to plush pillow beds, we’ve got you covered. 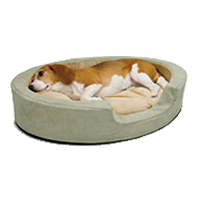 We’ve even got electric, heated beds, for those pups that just can’t stand the cold. For Dogs and Cats, Too! Several shape, size and color options available. Bumper and Bed in One. Pets Love Them in Crates, Carriers, Dog Houses, SUVs, or Anywhere. Available in several shapes, sizes, colors, and materials. Durable Mocha Colored Plastic Pods Have a Ventilated Base to Help Keep Pod and Bedding Fresh No-Skid Rubber Feet Protect Floor Surfaces. Plush, Tufted Pillows and Matching Covers Offer Versatility and Blend with Any Decor. 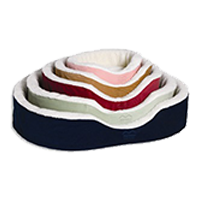 Machine Washable Pillows and Covers Feature Custom Fit Elastic Slip-Over Installation. 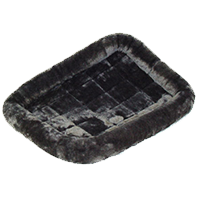 Super Breathable Base, Durable and Easily Washable with Hose -Dries in Minutes. 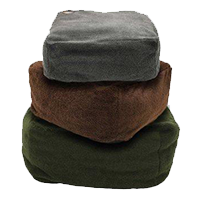 Ideal for Use in Crates, Carriers, Dog Houses, Vehicles. 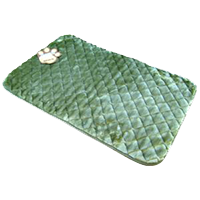 • Synthetic sheepskin & poly/cotton full coverage material. • Zippered, easy to remove, machine washable Cover. 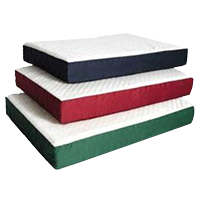 • Tremendous support and comfort!